Living expenses in Sharjah are more affordable compared to Dubai. Therefore, it has become the residential hub for people who work in Dubai. How long does it take to incorporate a Sharjah company? Average time for registering a Sharjah company is 13 weeks. What are the problems of setting up a Sharjah limited liability company (LLC)? A Sharjah LLC requires a minimum 51% shareholding by UAE citizens. How difficult is it to open a corporate bank account for a Sharjah company? Opening a corporate bank account with a reputable international bank is easy. Am I required to visit Sharjah to incorporate a company there? No. Healy Consultants can legally incorporate your Sharjah company without you needing to travel. What is the minimum number of directors required for a Sharjah company? A Sharjah company requires a minimum of one director. Yes, if incorporating in the Sharjah Airport Free Zone. What is the minimum number of shareholders required for a Sharjah company? A Sharjah Airport Free Zone company requires a minimum of two shareholders and a Sharjah LLC also requires a minimum of two shareholders. What are the minimum capital requirements for a Sharjah company? 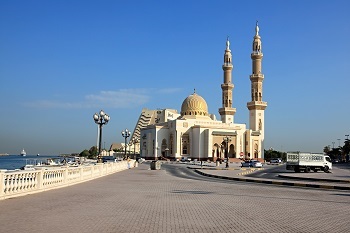 Setting up a company in the Sharjah free zone requires a minimum capital of US$41,000. Is a Sharjah company required to submit an annual tax return and/or financial statements? All foreign companies in Sharjah are obliged to submit an annual return and are required to have their financial statements audited annually. How much tax does a Sharjah company pay? A Sharjah company does not have to pay any corporate tax. Also, Sharjah companies are free to repatriate all capital and profits from the UAE if required. Furthermore, if a distributor wants to sell within the UAE, a 5% customs duty is levied.